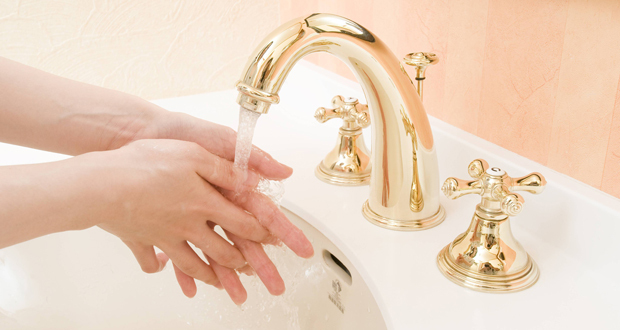 As the world marks the 11th annual Global Handwashing Day (GHD), a new study from Initial Washroom Hygiene has shown that British families’ handwashing habits leave a lot to be desired. Initial’s survey of 2,000 families has found that almost three quarters (73 per cent) of British families fail to wash their hands before every meal. Additionally, just 68 per cent of Britons said they ensure their children always wash their hands before eating. This is despite strong evidence that shows the hygiene benefits of a strict handwashing regime. Initial’s research into handwashing in the lead up to GHD also included a swabbing experiment, with a group of British families measuring the level of bacteria present on each family members’ hands before breakfast and dinner. It found that the level of bacteria present decreased by 83 per cent after participants were encouraged to wash their hands prior to meals. It also found higher levels of microbial activity present on participants at breakfast, as opposed to dinner. The experiment also showed that the average child’s hands are host to high levels of bacteria prior to washing before breakfast. During the experiment, the average reading for children before breakfast was 2,046 and for adults it was 1,683. For hands a swab count below 500 is considered low, a reading between 500-2,000 normal and reading of more than 2,000 is considered high. Overall, the children’s hands were found to be home to 46 per cent more bacteria than the adults, further accentuating the need to instil good hygiene practices, such as washing hands before every meal, from a young age. Dr Colm Moore, Area Technical Manager for Initial Washroom Hygiene, said: “With winter and flu season around the corner it is absolutely vital that we all remain vigilant with regard to our hand hygiene. Approximately 80 per cent of all infections are transmitted by hand. As our experiment shows, the simple act of washing your hands can significantly reduce the level of bacteria present, and therefore reduce the risk of cross contamination. It becomes even more important at mealtime, when what we touch goes into our mouths.